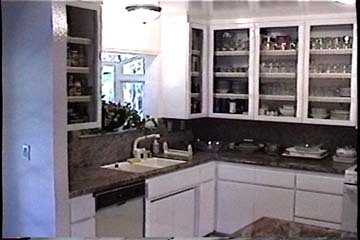 These are Glass Upper Cabinets that add a nice dimension to the Kitchen. The Glass they choose was frosted and not in yet, but you still get the idea. Those Blind Corners can be such a waste. 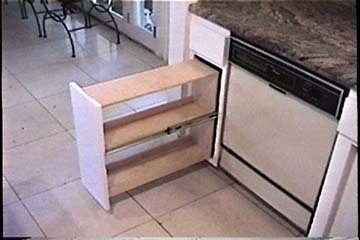 Here is a great way to access that little space without anything falling off the Back Side. 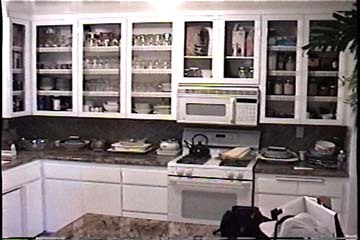 Mini-Pantry. 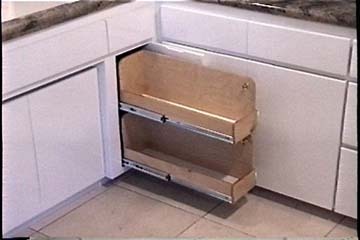 Side access makes this a great Space Utilizer. 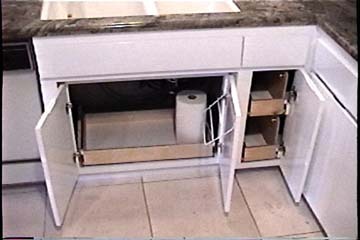 A Roll-out beneath the Sink can help you get that stuff in the Back.